When Southwest Airlines overhauled its fare structure and its frequent flier program to lure more passengers from traditional carriers, it brought its airline credit card program along for the ride. The Southwest Rapid Rewards® Plus Credit Card doesn't just feature one of the most popular airlines in the business, it boasts some of the most attractive perks for bargain-hunting travelers. A generous signup bonus complements a new reward program that connects travel on Southwest with a network of partner airlines, hotels, and premium service providers. 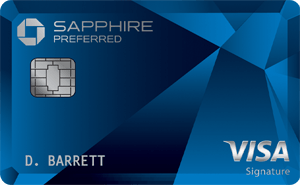 Welcome Bonus: Earn 40,000 points after you spend $1,000 in purchases on the card in the first three months. Longtime Southwest Airlines passengers voiced some frustration when the carrier switched to a more conventional, and potentially confusing, frequent flier program. With the new card, if you've ever redeemed awards on traditional airlines, just replace "miles" with "points" and you'll feel right at home. With double points for every dollar you spend on Southwest, you can quickly earn enough credit to cover at least some of the cost of your next trip. In addition, you'll earn double points for purchases at a network of preferred retailers and travel providers, including popular hotels and car rental companies. You don't have to wait for your next vacation to redeem your rewards, either. Southwest's partnership with Chase Credit Cards enables Rapid Rewards cardholders to convert points into gift cards or into any of Chase's new "experiential" rewards. Should you switch to the Southwest Rapid Rewards® Plus Credit Card? You should consider switching to this credit card if you travel on Southwest more than on any other airline. In fact, the ease of earning travel with this airline credit card might even inspire you to switch your preferred carrier. You may also save money and earn bonus points with one of Chase's most unusual balance transfer offers. If Southwest's APR is lower than that of your current account, they'll give you a bonus point for every dollar you transfer to your new account. 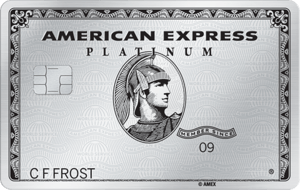 Earn 40,000 points after you spend $1,000 in purchases on your new card in the first three months. Southwest rewards your loyalty with 3,000 bonus points each year on your account anniversary. 2 points/$1 spent on Southwest® and participating Rapid Rewards® Hotel and Car Rental partner purchases. Southwest's market is expanding, but it's limited to mostly domestic locations. If you travel frequently overseas, you may not fly Southwest often enough to offset the $69 annual fee. This card is best for consumers who prefer to fly Southwest and have excellent credit.